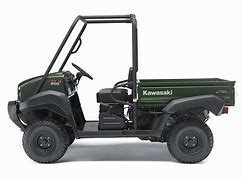 Hawaiʻi Island police are asking the public’s assistance in locating a Utility Terrain Vehicle stolen between, (September 7-8), during the hours of 2:00 p.m. and 7:30 a.m. The vehicle was taken from Route 130 near the 9-mile marker in Pāhoa. Police ask anyone with information regarding this incident to contact Officer Daniel Ulrich at the Pāhoa Police Station (808) 965-2716 or the Police Department’s non-emergency line at (808) 935-3311.